First of all, if you’re not familiar with the functions and benefits of mechanical insulation, read up on it right here. You would never let your staff handle brewing equipment without having a complete understanding of how it operates; why not use that same thinking when it comes to the systems that are protecting your equipment? Understanding why your brewery needs mechanical insulation and how it works is critical to safe and efficient operations. Brewers and brewery staff need to take ownership over mechanical insulation management for their facilities. Here’s why insulation is so important for breweries. Why should breweries be focused on mechanical insulation? No matter the size of your facility, it’s no secret that brewing is a high-energy process. In a study by Energy Star, it was found that brewing uses 40% of the total energy in the beverage manufacturing industry, which also includes sectors such as soft drinks, wineries and distilleries. What’s more, the Brewers Association found that 45% of breweries’ natural gas use is a result of the brew house. Because of the high energy and environmental impact brewing can have, brewers are constantly looking for ways to reduce their footprints. How can breweries improve their insulation management? 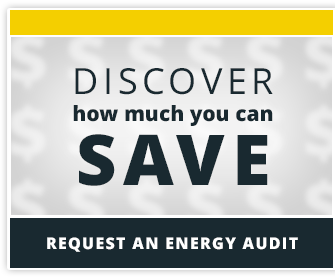 Beyond all of the benefits mechanical insulation offers, one thing is probably highest on your priority list as a business—maintaining the proper energy codes for your state. In order to ensure that your insulation stays in peak condition so that it performs its job properly, here are some strategies you can use. These measures are typically low cost, easy to implement, and offer immediate payback. Perform regular visual inspections to make sure that none of your insulation is missing or damaged. Unless the insulated area is being used as a walkway or is in an unusually damp atmosphere, most types of insulation require very little maintenance during their use. Still, take time once per quarter to perform a walkthrough and be on the lookout for normal wear and tear that may happen over time. How do you know when it’s time to perform maintenance on your insulation? Here’s a list of signs to be on the lookout for. During your walkthrough, note any insulation that’s damaged or seems to be missing. Even if breweries have the basics insulated—for instance, piping for steam, hot water, chilled water and glycol—they’re often missing insulation on critical components. Having these non-insulated parts are not only an energy loss, but a safety issue as well. Once non-insulated surfaces have been identified, determine which parts are the highest priorities. Prioritize by focusing on the hot lines—the hottest parts should be the highest priority as they benefit the most from insulation. Sometimes, uninsulated components were left that way because they need to be available for maintenance. There are actually solutions that can solve this, however. For parts that require maintenance more than once per year, removable insulation jackets are the ideal solution. For those parts that don’t require regular maintenance or inspection more than once per year, fixed insulation works well. Some breweries have a person in charge of responsible byproduct use, waste water, etc. Every brewery needs an insulation “champion” too. This person needs to own the responsibility for making sure the visual inspections and maintenance get done effectively and on time. That way there is accountability, and this process starts to become ingrained. Many craft breweries today have environmental initiatives that resonate with their employees and their communities. Take the next step by implementing mechanical insulation management that makes your facility safer, more efficient, and more environmentally friendly.